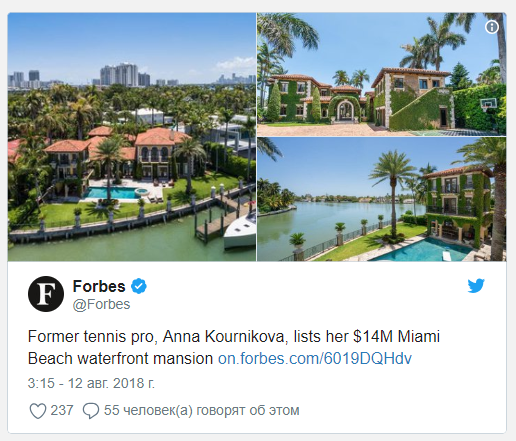 In Miami (Florida) a mansion, formerly owned by former tennis player Anna Kournikova was put on sale. 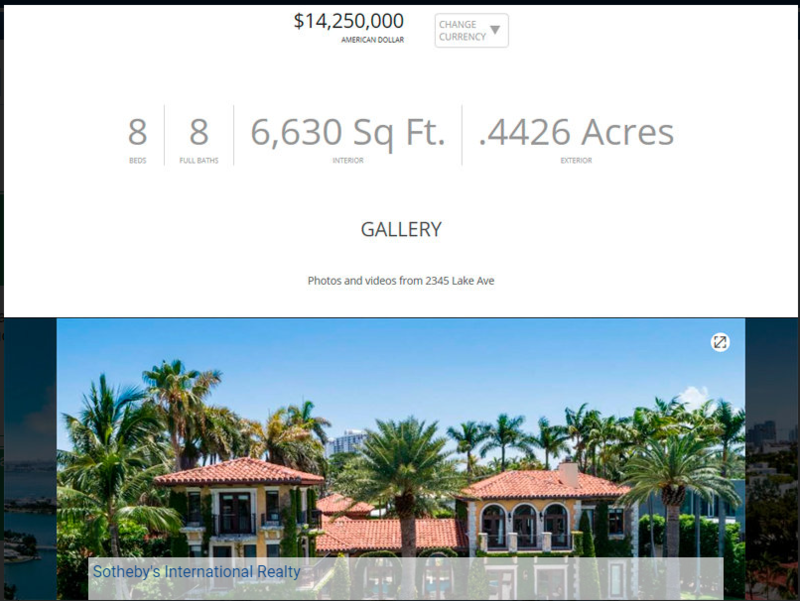 The estate, located in a protected residential complex called Sunset Island III on the lake, was estimated at 14.25 million dollars, writes Forbes. The house with an area of ​​616 square meters was built in 2000. Kurnikova bought it in the same year for $ 5 million, and in 2011 put up for sale already for 9.4 million, RBC specifies. However, as a result, the mansion was sold for 7.4 million. Anna Kournikova twice won the Australian Open in doubles, speaking with Martina Hingis, and became the youngest participant of the Olympic Games in the history of Russia. In 2002, readers of the English magazine FHM put Kournikova in the first place in the ranking of "100 of the sexiest women in the world." She left professional tennis in 2003.